What is the Welcome Buddy Program? 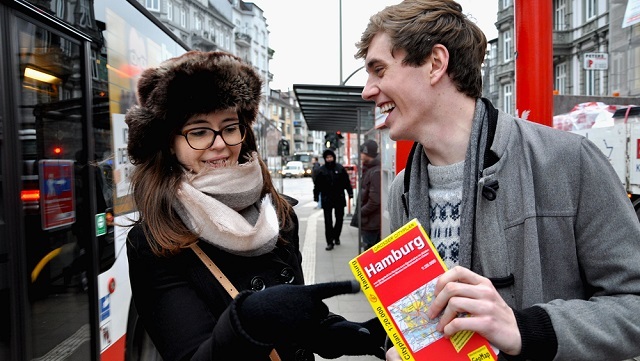 The PIASTA Welcome Buddy Program aims to help newly enrolled international students to get a good start with their studies and everyday life in Hamburg. For this reason, we match up each international student (Incoming Buddy) with a current Hamburg student (Welcome Buddy) who as a buddy can make the international student’s arrival easier and help them to find their bearings in Hamburg and at our University. You are a student enrolled at Universität Hamburg and you want to support an international student? Become a Welcome Buddy at PIASTA! You are an international student new in Hamburg and are looking for some connection to local students? Become an Incoming Buddy at PIASTA! New at Uni Hamburg? Welcome! We recommend our information brochure "To-dos Brochure for new students" (PDF) for successfully getting started in Hamburg.